“My dad had a ranch in Iron Mountain Wyoming and my granddad had a ranch in Sioux County, Nebraska,” Dunmire said. Back when he started in 1987, Dunmire only had a few hundred head of cattle. Now, he owns over 100,000 acres and 1800 head of cattle. But at 66, Dunmire is starting to take a step back from it all. Dunmire said he sees passing on lands as the last responsibility of a rancher. "We’re trying to get it to the next generation, or the next two generations, intact with the smallest amount of tax pain that we could possibly have,” Dunmire said. He’s been preparing for succession now for 26 years. It's required an accountant and lawyer to figure out the best way to keep his kids from drowning in estate taxes. One strategy has been to divide the land into six legal entities. To put the situation in context, Dunmire recounted the story of how his dad came into his ranch. It also serves as a worst-case scenario of poor estate planning. “There was kids that wanted to stay there, but when the grandfather passed away he had not done any estate planning or gifting or anything to get ready to pass it on. And they had to sell the ranch, basically, because of [the] tax situation,” Dunmire said. He's far from the only one going through this process. 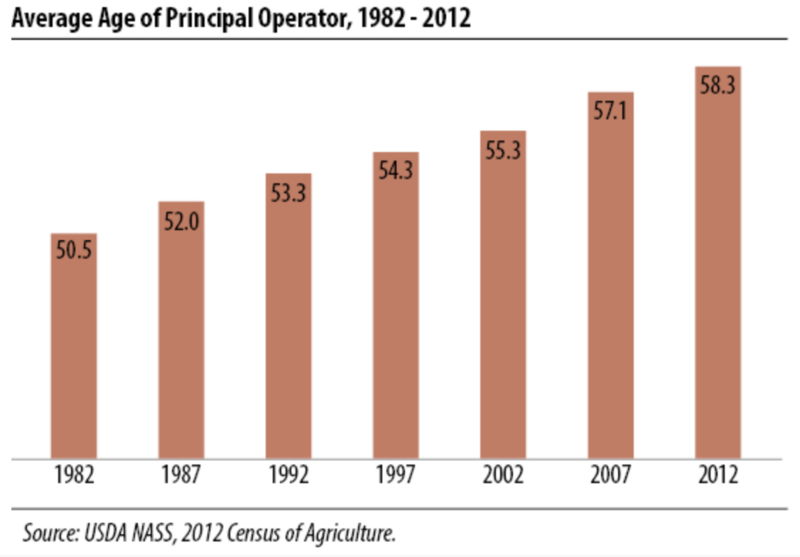 In 2012, the average age of farmers and ranchers hit a record high of 58 years old. According to a report from the National Young Farmers Coalition, 63 percent of farms are on the verge of transitioning. Experts say the U.S. needs to be prepared for a massive land transfer in the next decade. John Hewlett, a farm and ranch management specialist at the University of Wyoming, is one of many who working to smooth that transition. “A lot of folks need help in terms of transferring ownership, worrying about how to best structure their farm or ranch in terms of tax, as well as making sure that the ownership is transferred such that the ranch or farm can be viable after the transfer,” Hewlett said. He said easing the transition isn’t just about helping the older generation, but the younger one. That’s increasingly tough with fewer and fewer young people joining the industry. In 2012, only 6 percent of farmers were under 35. “They become educated and they have other income opportunities as a result. It’s a lot different than 50 years ago when a lot of people's focus was to be on the land, and to do some kind of jobs on the farm. It was part of the family's activities,” Hewlett said. He's helped create a website full of resources on steps to take in land succession. 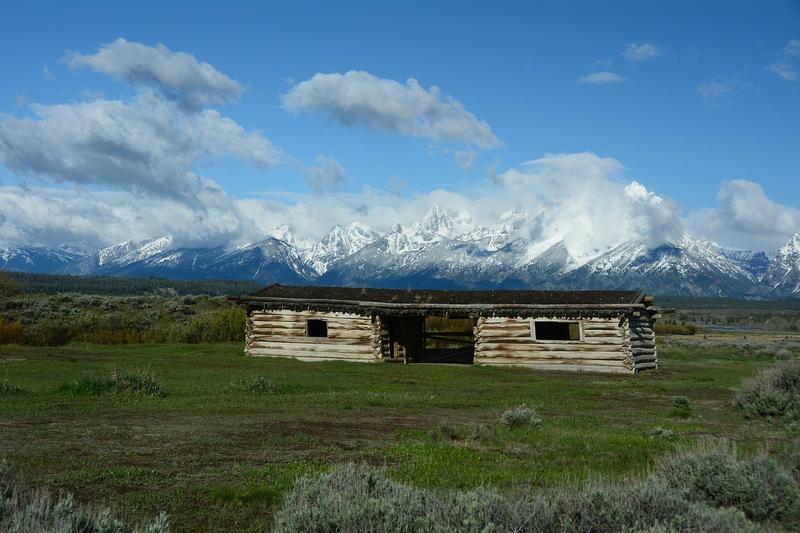 There are many other organizations offering seminars, programs, and workshops as well, like the Plank Stewardship Initiative, University of Wyoming Extension, and the Western Landowners Alliance. Lesli Allison, executive director of the WLA, said her organization wants to help lower the barriers to entry for young people by supporting policies like loan debt forgiveness programs for those weighed down by student debt. "As a nation, we need to be looking at policies and economic strategies to sustain these landscapes and make it possible for people to make a living in the rural west, to stay on that land, to raise families on that land, to stay in rural communities in a way that supports both agriculture and conservation,” Allison said. She said a football field worth of land is lost to development every two and half minutes in the west. And that's partially private land that supports wildlife, clean air and water, and biodiversity. Allison said beginning the process of land succession early is crucial to preserving ranches and farms, whether there’s an obvious heir or not. That starts by simply talking about it. Back at the ranch, Dunmire drove his red truck through a shallow, ice-laden stream, giving way to an open field with hundreds of cows grazing. A few trotted out of the way as the truck drove past. Dunmire said he’s loved raising a family on the ranch. “The family is intertwined with the ranch and it’s a great place to raise cattle and kids,” Dunmire said. And he said he feels lucky to pass that on. Organizations in the region are encouraging ranchers and farmers to think ahead about how to pass their land on to the next generation so the way of life doesn’t disappear. As property values outpace the potential revenue from agriculture, it’s harder for families to pass down their land or even sell it to another rancher. A survey of rural bankers in ten Great Plains states says their biggest worry in the coming year is farm and ranch foreclosures. Creighton University economist Ernie Goss said the problem is that beef and other agriculture commodity prices continue to be so low and that could lead to a fairly sharp upturn in foreclosures in 2018. 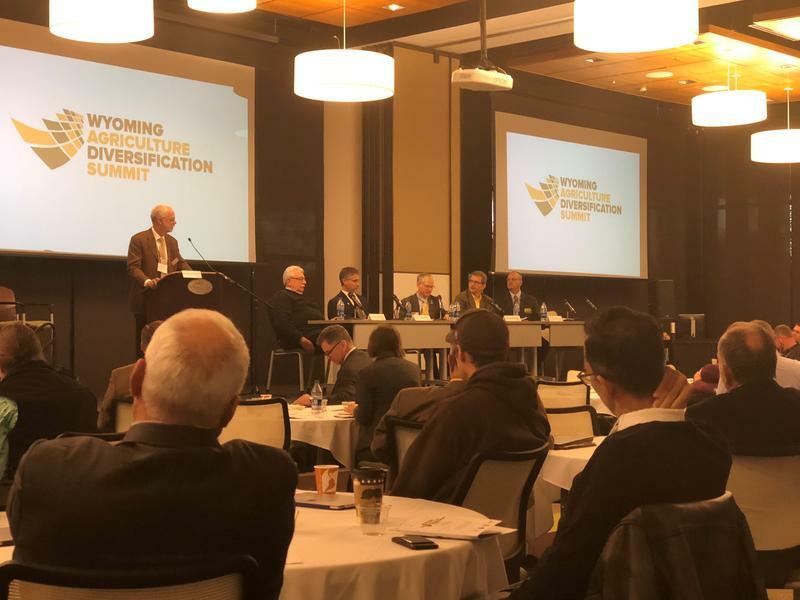 Goss said Wyoming has a double whammy since energy prices continue to be sluggish, too. He said that in turn would hurt rural banks. 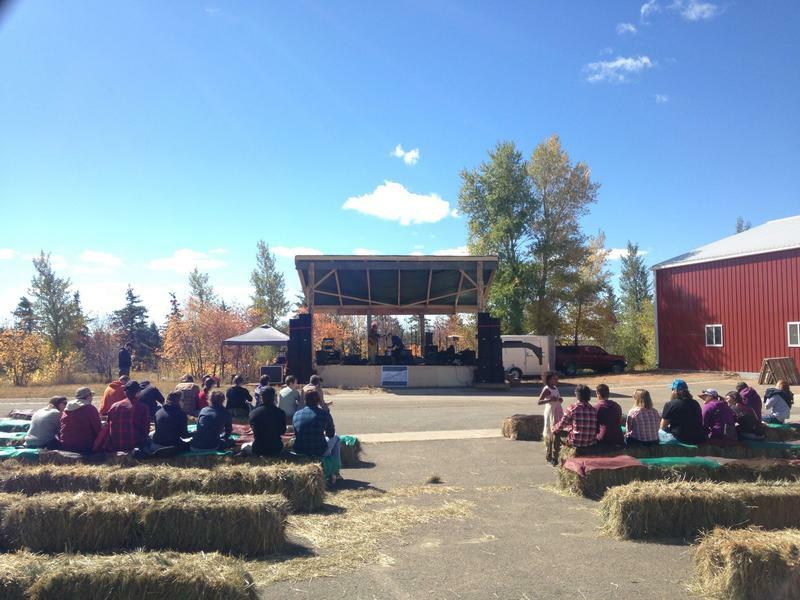 For the second year in a row, the Higher Ground Fair is set to celebrate the Rocky Mountain region’s unique lifestyle. Organizer Gayle Woodsum said this year’s events will be even bigger than last year’s with music and dance on three stages both days of the fair, including the Patti Fiasco, Whiskey Slaps, The Hazel Miller Band, and J Shogren Shanghai’d. There will also be more than 70 vendors and presentations, including one by the Black American West Museum about African American history in the West. A summer hike up to a 13,000-foot alpine meadow can be exhilarating. But what if you decided to stay up there for the rest of your life? The lack of oxygen, frigid temperatures, and sparse vegetation would make it tough. Archaeologists know hunter-gatherers traversed highland areas thousands of years ago, but presumed they also had to spend time in lowland areas in order to survive. That idea is now being challenged by a team of researchers at the University of Wyoming who have made a rare discovery.